“A MISLEADING DEAL-BASED PROTEST IS SET TO THROW AWAY DOVER’S FUTURE.” Says the Port of Dover on a new website, but thePipeLine asks: Who is misleading who? In what is rapidly becoming a key test case for the effectiveness of environmental protection in UK waters, opponents of the Port of Dover’s plan to dredge 2.5 million cubic meters of sand and gravel from the Goodwin Sands are concerned that, not only would the dredge put at risk one of the most environmentally and archaeologically sensitive sites in UK waters, but that the Port of Dover is now seeking to deploy its financial and public relations muscle to misrepresent opponents of the scheme and skew the latest Marine Management Organisation [MMO] consultation by adopting a public relations strategy straight out of the Boris Johnson, Vote Leave, Brexit campaign playbook. In its advertising campaign entitled “Deliver for Dover” the Port of Dover, under the direction of outspoken chief executive Tim Waggott, argues that the new multi million pound Dover Western Docks Revival (DWDR) development is vital for the future of the economy in what is an economically deprived part of the UK and that the Goodwins are the most economic and environmentally sound source of the sand and gravels required to complete the project. However, critics counter this by suggesting that by employing simplistic slogans, unsourced but emotionally charged assertions and questionable statistics which cannot be peer reviewed, the Port of Dover is seeking to cover up flaws in its own strategy and technical submissions identified by independent experts and to divide the community of East Kent in a manner which may even be contrary to the code of conduct set out by the Advertising Standards Authority which prohibits irresponsible advertising and misleading claims about environmental benefits. As its application to dredge the Goodwins enters the final ten days of its third period of public consultation the Port of Dover is still facing a number of questions over the quality of and assumptions made in, the series of reports and statistical projections submitted in support of its application by consultant Royal Haskoning DHV [See thePipeLine passim including here]. However, a further set of questions have been raised over the latest tactics adopted by of the Port of Dover in what is becoming an increasingly bitter battle with critics of the scheme. Particular concern has been raised at what is, on the face of it, an outspoken personal attack on the Save Our Sands campaign, which alleges that the port authority’s plan to dredge the Goodwins will cause irreparable damage to the environment and to historic shipwrecks, as well as potentially disturb crashed aircraft from World War Two which are the legally protected resting place of their dead aircrew. Echoing an earlier spoken attack made reportedly by Mr Waggott speaking to the Dover Society in March this year  , the latest attack on the Save Our Sands campaign comes in the form of a website and so called “attack advertisements” placed in the local press. The campaign seeks to portray the environmental campaigners as a small group of outsiders who are mounting an attack on the economic future of the Port of Dover and the people who live in the historic East Kent ferry port. However, the timing of the attack, launching as it did just as the Marine Management Organisation began the third consultation into the dredging application, and the fact that the attack has been launched in the first place, has prompted suggestions that the Port of Dover, which according to its most recent accounts had a turnover of almost £60 million, is afraid it is losing the battle for hearts and minds over the application to dredge the Goodwin Sands to a campaign organised around various kitchen tables. The front page header of the Port of Dover’s “Deliver for Dover” campaign . In fact, while Save Our Sands did indeed begin as a grass roots campaign in Deal, it has morphed into an effective advocate for the conservation of the Goodwin Sands as a whole, engaging along the way numerous nationally recognised independent experts and expert bodies and forcing a number government departments and arms length organisations, including Historic England, to recognise serious deficiencies in the Port of Dover’s submissions to the regulatory body, the Marine Management Organisation. For example, with regard to the latest consultation, marine experts consulted by thePipeLine are concerned that the replies submitted by the Port of Dover to questions raised by the previous consultation may be inadequate and are in some cases contradictory and equally as simplistic as the Deliver for Dover campaign. 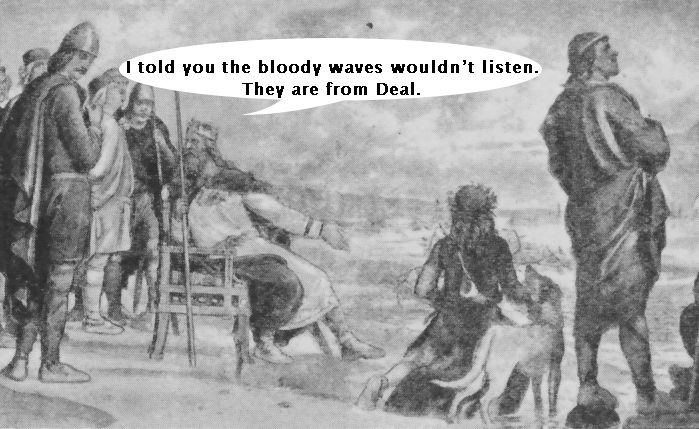 It has also been pointed out that, in attempting to portray the opposition to the Goodwin Sands dredge as a local spat between Dover and near neighbours to the north, the town of Deal, the Port of Dover is either ignorant of, or is willfully ignoring, the fact that the Goodwin Sands are regarded as a nationally and internationally important archaeological and environmental asset, which are due to be designated as a Marine Conservation Zone [MCZ] in the UK Government’s third tranche of such designations. The organisation also stated that the Goodwins are one of just two primary seal haul out sites in the south east of England and the issues of the impact of the dredging on both sandeels and seals remain central to the discussion and controversial, as the application goes forward. In analysing the approach taken to the third MMO consultation by the Port of Dover, a public relations consultant approached by thePipeLine confirmed that one of the keys to the dark art of public relations is gaining control of the narrative. A second essential skill, and one deployed with effect by both Boris Johnson and Donald Trump is distraction. Both techniques are, it is suggested, on display in East Kent as the Port of Dover seeks to undermine its critics and in particular its opponents from Goodwin Sands SOS. In this reading, launching the website and “Deliver for Dover” campaign is a belated attempt on the part of the Port of Dover to seize back the narrative from the campaigners, while the direct attack on the Save Our Sands campaign, while framing the critics as outsiders from Deal trying to do down Dover, is a distraction from the failings in the Port of Dover’s own submission to the MMO and in particular the less than stellar work of its consultants Royal Haskoning DHV which, it is argued, have led to delays to the project and the repeated public consultations. and it is questionable whether attempting to divide the communities of East Kent is socially responsible. It could also be argued that the apparent personal nature of the attack on the Save Our Sands campaign could also bring advertising into disrepute, which is contrary to clause 1.5. More seriously, Section 11 of the ASA Code relates to environmental claims and states that such claims must offer a high level of substantiation and must not suggest their claims are universally accepted, “if a significant division of informed or scientific opinion exists.” Such a significant division of informed and scientific opinion certainly exists in the case of the Goodwin Sands dredge application, which is why the Marine Management Organisation has been forced to take the case to three separate public consultations and why the case could yet end up in the courts facing a judicial review. Of course, rightly or wrongly, the very fact that the attacks have been launched is proof to the campaigners that the Port of Dover, do not just know that they are in a fight when they thought the application to dredge the Goodwin’s would be waived through with little difficulty; they argue that Mr Waggott and his colleagues also now fear that they are losing and could be about to pay the literal price of not having a Plan B and above all of making a classic mistake which has caused many a spectacular downfall through the ages. That is, as General Custer would attest, underestimating your opponents. During the preparation of this article thePipeLine asked the Port of Dover the following questions. 1. The Deliver for Dover campaign: Given it can be defined as a negative “attack ” campaign which risks the PoD being portrayed as bullying concerned members of the local community and independent experts and expert bodies,,was the “Deliver for Dover” campaign attacking specifically Goodwin Sands SOS authorised by the CEO of the Port of Dover Mr Tim Waggott? 2. The Deliver for Dover Web site and advertisements: How did the Port of Dover arrive at the figure of £500 million as the potential loss to the Port as a result of the SOS Save Our Sands campaign opposing the Goodwin’s dredging? Please supply full substantiation for that figure. Does the Port of Dover believe that all the other claims in the print advertisement and on the web site can be verified similarly? 3. The Associated Retail and Restaurant developments cited: Can Port of Dover confirm that there is not yet a developer which wishes to undertake the commercial retail and restaurant developments to which the web site and advertisement refer? 4. Advertising Codes: In the advertisement published in the Deal Edition of the East Kent Mercury, why has the Port of Dover chosen to portray the opposition to the dredging as coming from individuals in Deal when the original application was opposed by individuals, including many independent experts and representative bodies in the environmental and heritage sectors from across the UK, including Historic England which requested additional data? 5. Advertising Codes: Given that the ASA Non Broadcast code states, “Marketing communications must be prepared with a sense of responsibility to consumers and to society.” Does the Port of Dover feel it is responsible to appear to wish to divide the community of East Kent as the web site and advertising campaign appears to do, by citing opposition as coming from Deal, victimising the people of Dover? 6. Alleged failings in the Royal Haskoning EIA: Does the Port of Dover accept that one of the principal reason that the application is currently delayed [and why the Port of Dover has been required to submit further information to the Marine Management Organisation [MMO] is that the initial Environmental Impact Assessment by Royal Haskoning DHV, which you cite in the text on the web site, failed to address properly the legally binding issue of potential sites covered by the Protection of Military Remains Act? This included the failure by Royal Haskoning and Port of Dover to discuss the matter with the MoD’s Joint Casualty and Compassionate Center [JCCC] before the application was submitted? 7. Delays at the Marine Management Organisation: The MMO has confirmed to me in writing that the licence has not been advanced because MMO is awaiting further information from the Port of Dover. Does the Port of Dover accept this interpretation and with it the resulting conclusion that the surveys submitted in support of the original application were not adequate to enable the MMO to determine the application? 8: How many supporters have signed up to the Deliver for Dover page? “The Goodwin Sands have been dredged extensively for commercial use since the Second World War. Our proposals would leave 99.78% by volume of the sands completely untouched. For the 0.22% we wish to use, we have conducted extensive environmental and archaeological investigations using world leading experts to inform our proposals as required by the Environmental Impact Assessment (EIA) regulations. Without this sand, the environmental impact of using alternative sites could increase five-fold. And leading international and independent economists have calculated that the people of Dover stand to lose up to £0.5bn of new jobs and regeneration. “The £0.5bn figure was produced by Oxera, leading international and independent economists who advise governments, policy makers, regulators, courts and companies around the world. 1. Is the Port of Dover directly linking the failure of the entire project at the cost of £500 million to the Port of Dover directly and purely to the ability to dredge aggregates from the Goodwin Sands, or is the £500 million figure simply that projected loss to the Port if the developments described do not take place for whatever reason? 2. Please supply the full report/communication in which Oxera report to the Port of Dover that there will be a loss of £500m GVA to Dover if aggregates are not dredged from the Goodwin Sands. 3. Over what period was the £500m loss modeled to occur? 4. Is it correct that Oxera concluded that the Port of Dover’s regeneration project could only be completed if marine aggregates were dredged from the Goodwin Sands? 5. Did Oxera model other scenario’s whereby the Port of Dover’s project could still be delivered using aggregates from another site and, if so, what are the costs and GVA’s [Gross Value Added] of those scenarios? Up to the time of publication neither the Port of Dover nor Oxera has replied to any of these questions. In fact they have not replied at all. The consultation into the application by the Port of Dover to take marine aggregates from the Goodwin Sands runs until 28 September 2017 and, if a licence is granted, the first dredge is scheduled to take place in mid November 2017.